Fig. (2) Effects of either glucagon or glucagon receptor antagonist on reduction of diabetic complications. Fig. (2). 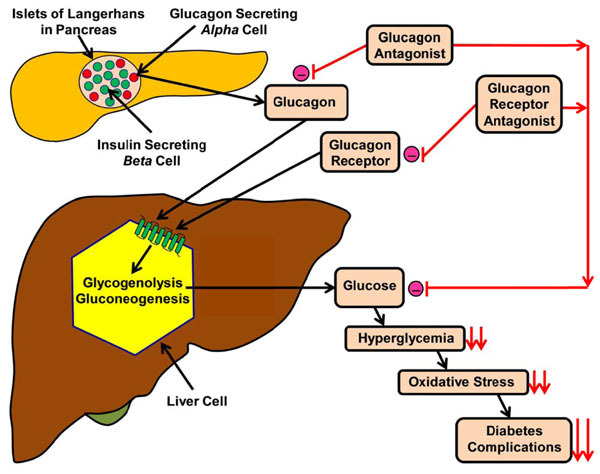 shows how a schematic diagram of interaction between glucagon, glucagon antagonist, glucagon receptor antagonist and glycogenolysis in the regulation of blood glucose level. (-) = inhibition, = ↓↓reduction.